Counter-hegemony is the major aspect of the Theory of Multi-polar World. It originally appeared in the context of the critical theory of International Relations (IR). 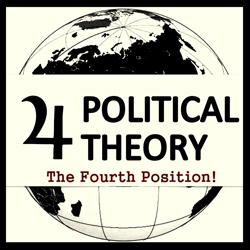 This concept undergoes certain semantic transformations in the transition from the critical theory of International Relations to the Theory of Multi-polar World (TMW). Those transformations should be considered in more details. In this case, we need to recall the basic principles of the hegemony theory in the framework of the critical theory. Beneath liberalism’s appeals to individualism and social contracts, nationhood remained synonymous with tribe and community. This is not surprising because modern nation-states did not arise out of thin air or at the end of the nose of some 17th-century philosopher. They are are built upon the base of organic societies that have preceded them. America is being overwhelmed with social meltdown, uncontrolled poverty and unemployment. This has been combined with the constant media bombardment of an entertainment complex meant to cause intellectual and emotional retardation, combined with a security culture on overdrive. The USA is being eaten out from the inside by a cancer of its own creation. American Revolutionaries on ‘both sides’ of the so-called political spectrum were right, have been right all along, and are right today. This is a twofold phenomenon, a meltdown occurring on both the cultural and economic front. These two are connected and inseparable, creating a ‘chicken or egg’ paradox when one tries to untangle them. Today’s revolutionary Political Soldiers need to have a basic grasp of the present situation beyond being a percipient witness to their daily lives. From this, a more coherent analysis of what is now and ‘What is to be Done?’ will be possible. That will lead the best of them to the conclusion that the groundbreaking thesis of Alexander Dugin provides them with the most coherent set of usable tools for the coming American revolution. America is not just a continent which, more or less randomly, takes place in the far West on the maps of the world, but at the same time is, according to the logic of things, and the West in terms of metageography. We can even say: America is the West in absolute, metaphysical sense of the term. America is absolute West. It is the undisputed leader and center of the Western world (Western civilization) and compared with it, all other Western countries are only second-rate units, subsidiaries, including its European provinces (European Union), in a tightly integrated "Trans-Atlantic structures" (NATO). Still more, America is likely to become a paradigm, a universal model, obligatory to all mankind. Thus, like a raised torch in the hand of the Statue of Liberty, yet mysterious essence of this country really shines all over the planet, over Earth, illuminating different nations and continents, as well as a new and unknown radiation. Indeed, America" offer the hand to the whole of humanity", and offered him its eschatology, a messianic revelation, its "Annunciation". The conference Against Post-Modern World took place in Moscow suburbs city Zvenigorod in the autumn of 2011. The conference Against Post-Modern World was dedicated to the problematics of Tradition and Post-Modern. It has gathered the most outstanding and presentable traditionalist of Russia and Europe. It was a true gathering of traditionalists from different countries from Russia and Europe most of the traditionalist movements and schools, publications and magazines.. They gathered to ask the most daring questions and to fearlessly offer their bold answers to them. The catastrophe is acknowledged by everyone. But it has been described in different ways, and different solutions have been offered. I would have to say I rediscovered the Forth Political Theroy over the past few years with my return to Political Activism. For those who do not know me before the inception of New Resistance, in the 1990’s I was a highly active member of the American Front. Our brand of Third Position was unlike any Third Position at the time or any currently being espoused today. We truly were looking for an alternative beyond facisim, communism, and liberalism. We had early influences from Christian Bouchet and Alexander Dugin so it was natural that we looked to Europe and Russia for inspiration. The promotion of such ideologies breaking away from reationary norms along with symbolism and tactics from the classical Left sped up the progress of us fighting a war on “two fronts” here at home, being called “commies” from the racial right and “nazi” from the liberalized left. So with that being said what I have seen happen since my departure in 2001 is beyond encouraging. 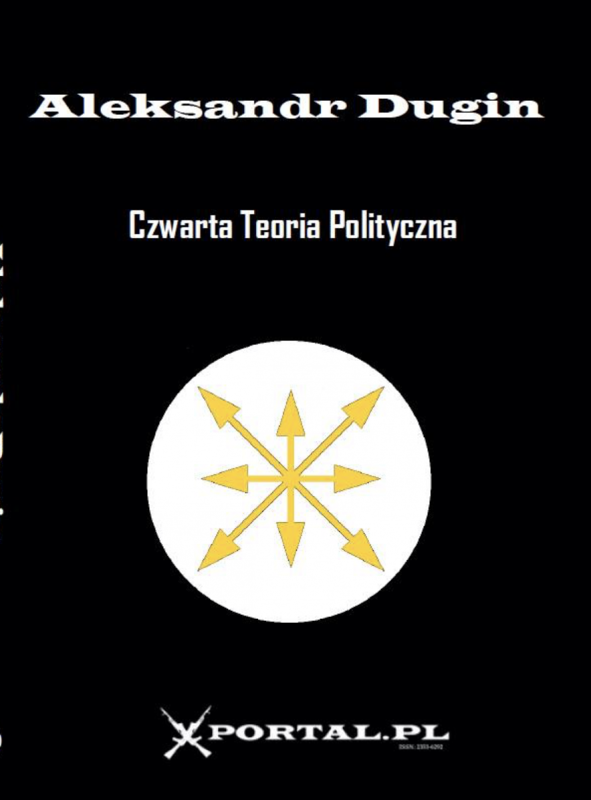 What I have found in Professor Dugin’s work on the Forth Political Theroy, being optimistic, can see it taking foothold as an ideology to be taken seriously. As far as the U.S. is concerned nothing short of complete disaster would shake the foundation of liberal democracy. I personally consider Russia as a European country, of course with diverse ethnic groups. And of course it has its own culture, traditions, and identity. But every European country has its own culture and traditions. The only difference is, we Europeans are told nonstop by the Brussels propaganda that we are all somehow “the same”. The Russians have the benefit not being bombarded by that ridiculous nonsense. For me as a German, Russia should be our close friend and ally. We share a lot of interests, we share a common history of course with ups and downs – at least Moscow is closer to us than Washington. A close relationship to Russia would be in the national interest of Berlin and Moscow. there is two Europe’s. Now the politics are not allowed except those who serve the NWO but each conservative organization considered as terrorist or neo-Nazi even its not. You know communist fear fascist or the fascist side of conservatism but who calls these organizations as terrorist one THE Government which serves the liberation of each community so 50% for each side. “There is nothing more tragic than a failure to understand the historical moment we are currently going through; - notes Alain de Benoist – this is the moment of postmodern globalization”. The French philosopher emphasizes the significance of the issue of a new Nomos of the Earth or a way of establishing international relations. What do you think the fourth Nomos will be like? Would you agree that the new Nomos is going to be Eurasian and multipolar (transition from universum to pluriversum)? I believe in case the globalizations won you know it’s too easy to control 5 people more than 10 its real slavery anyway. The answer yes I believe in Eurasia will bring the world to multipolarity also you can add after that I believe in triple -world which atlantist west as first and Eurasia also china as third so the second and the third against first and the second united with the third in one side. The struggle between the "two Europes" - I would say: between Europe and West - is a struggle for life or death, because the final instauration of liberal totalitarism, with the monsters created by its atheistic anthropology, by its cult of profit, by its technological prometheism, would mean to sink to the bottom of a subhuman barbarity which never existed in the world history. I don't know if Europe will find in itself the necessary energies to invert the liberal trend, nor we can see the "help from East” hypothized by René Guénon, so that I am tempted to repeat that "only a god can save us". In every case, "good Europeans" must do their duty and continue to struggle, never mind the chances of victory.